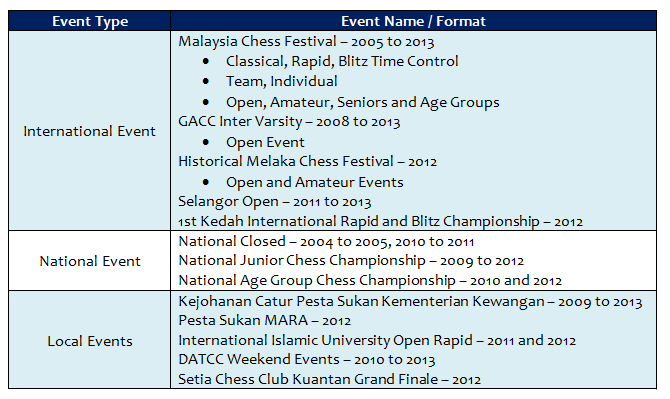 I have more than 10 years experience as Chief and Deputy Arbiter in many International, National and Local chess events. In 2012, I was awarded the FIDE Arbiter Title and currently, pursuing my International Arbiter (IA) title. The challenging part in executing my duties as Arbiter usually involves event where the players are predominantly children, or players who rarely participated in competitive chess events and are therefore not familiar with the FIDE rules of chess. Most of these participants have their own interpretation of how the rules should be, and in most cases, these rules are either out dated or gravely misinterpreted.